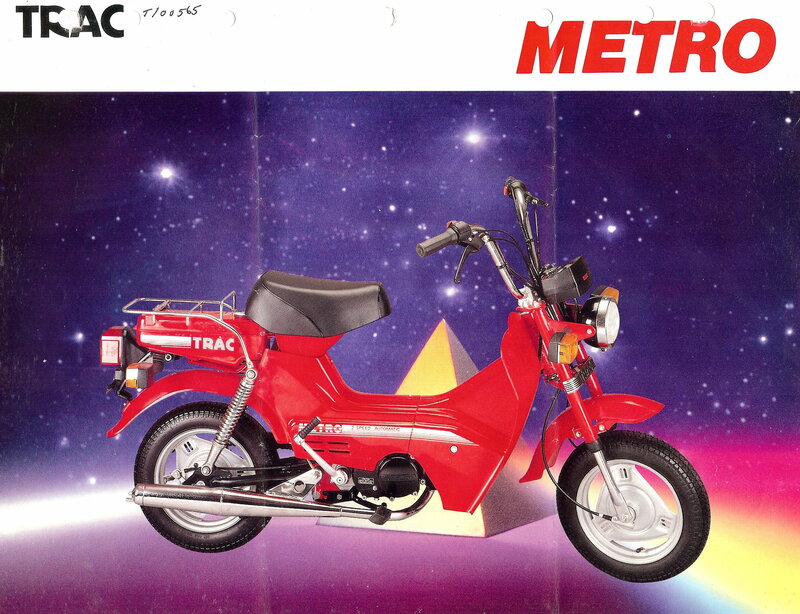 1982-85 Trac mopeds are made in Korea by Kia Motorcycle Company, Ltd. 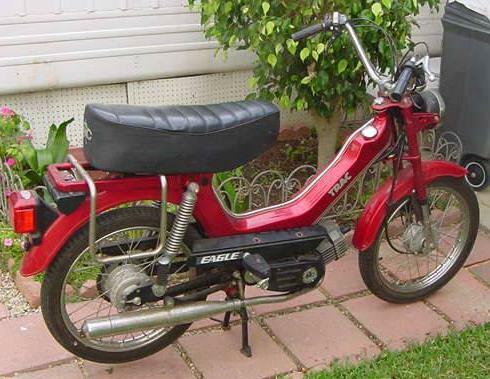 The engine, made in Korea by Daelim Motor Co. (DMC), is a remake of a 1978-80 Laura M56 engine originally made in Holland and used on Batavus mopeds. Some of the components are European, and some are Korean. This matters for parts compatibility. The spoke wheels, brakes, speedometer, shocks, forks, fenders and seat are Korean or Asian. 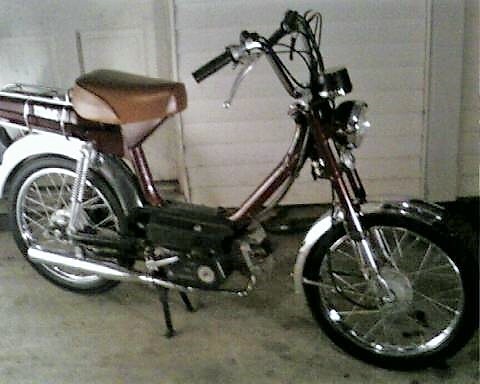 European things are CEV (Italian) lights and switches, Bosch (German) magneto, Magura (German) controls, Grimeca (Italian) mag wheels, Encarwi (Dutch) carburetor, and the Laura (Dutch) M56 remake engine and exhaust. 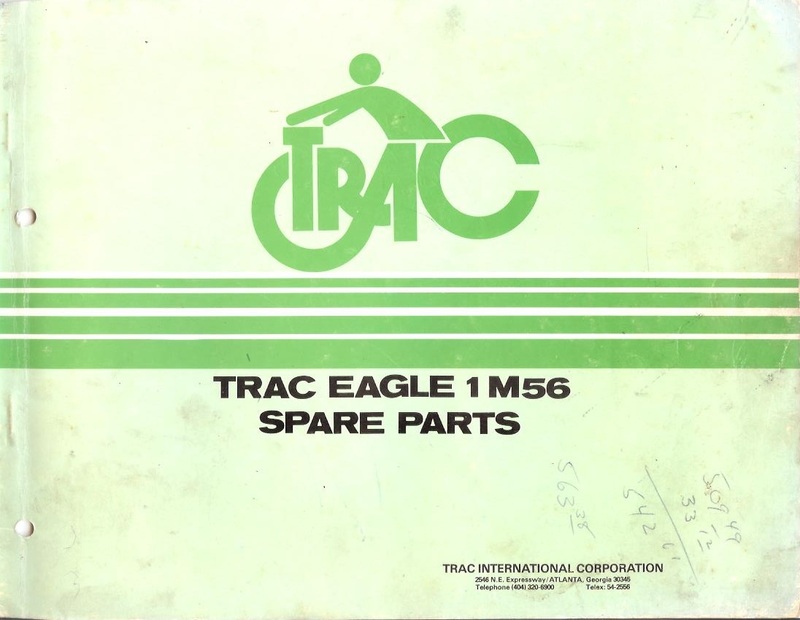 In Trac parts manuals “standard” or “deluxe” refers to the wheels, on Eagle and Hawk. 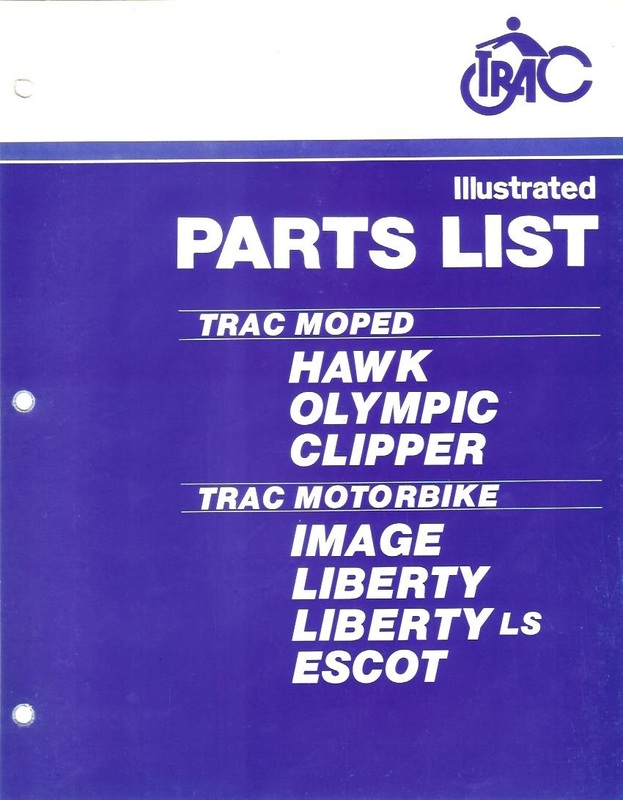 In Trac parts manuals “I” or “II” refers to the seat, solo or long, on Eagle. 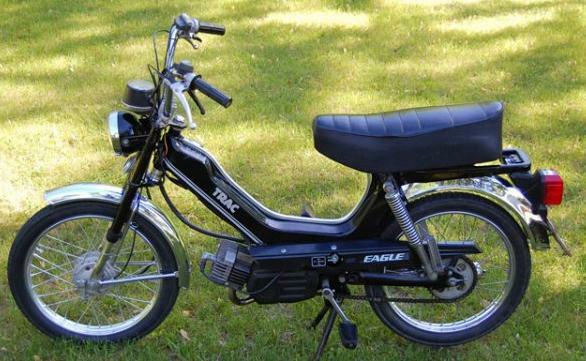 Most are Eagle II (long seat). 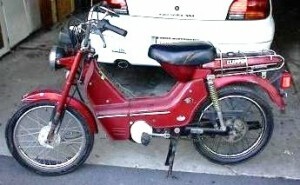 The original Dutch-made Laura M56 engine was on 1978-80 Batavus Regency and Regency HS. 3) the switches are integrated instead of separate clamp-on. 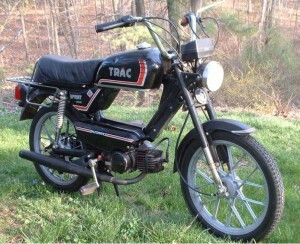 1986 Trac new mopeds with DP50 engines. All have a small left lower lever for starting. Later years did not have a starter lever. 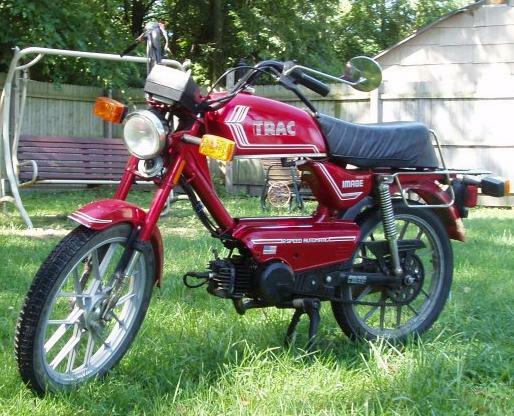 Since 1984 Trac made the Escot and Image “no-peds” with the Daelim DK50 2-speed automatic engine. It was proven to be good. 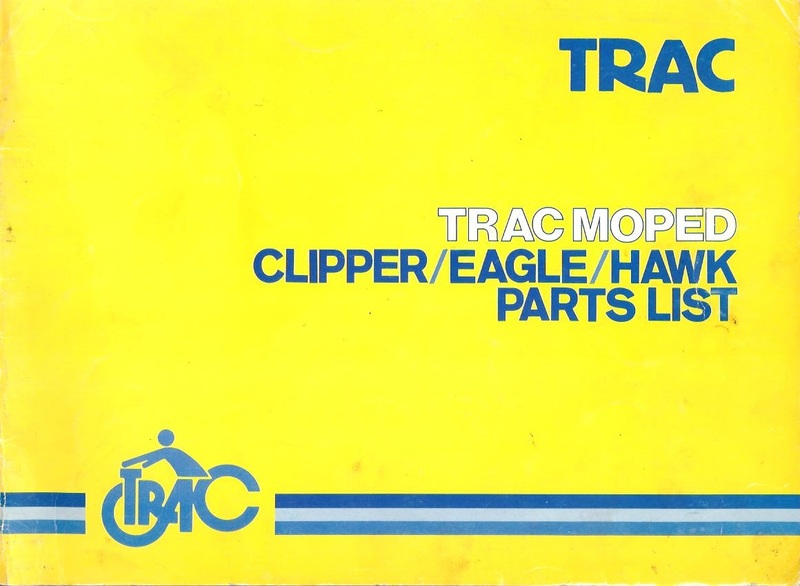 In 1986 Trac introduced a pedal version Daelim DP50 1-speed automatic for their models Clipper and Hawk. Both DK50 and DP50 had oil injection, where you don’t have to mix oil with the gas. 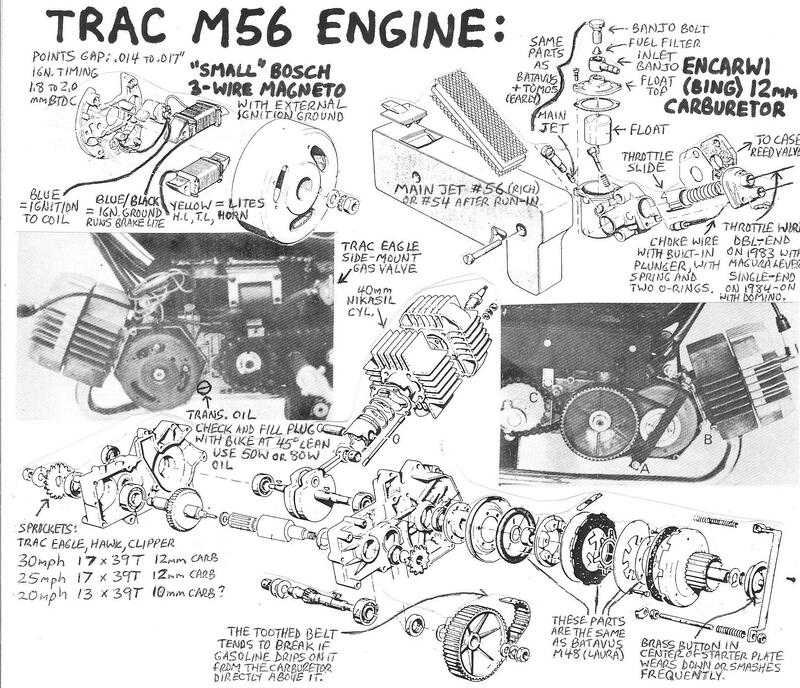 The older M56 engine models needed 50:1 premix oil and gas. 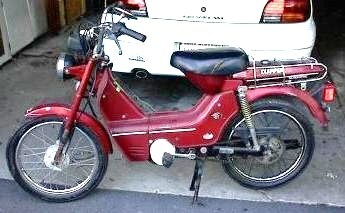 The DP50 engine replaced the 1982-86 Laura M56 Daelim remake engine. 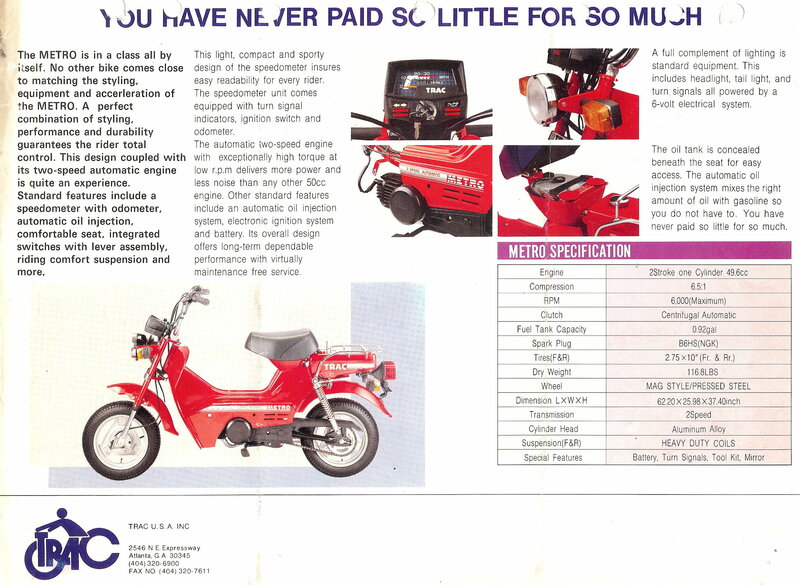 During 1986 both engine types were sold, as not all models and colors changed at once. In late 1986 or early 1987, the Hawk was renamed Sprint. 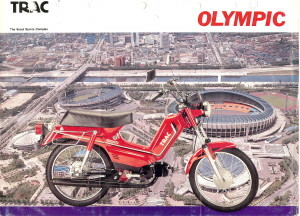 In 1986 the Olympic, and kick version Liberty, replaced the Eagle. 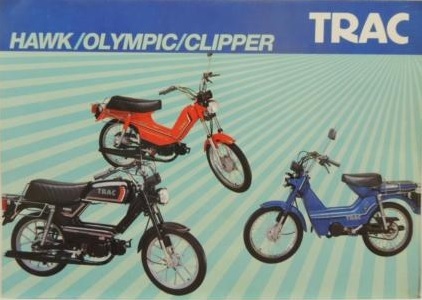 The Olympic was all Korean or Asian made. So most of the parts are different from the other models. The brakes were bigger, and the fork improved, true hydraulic with oil dampening, for a smoother ride. 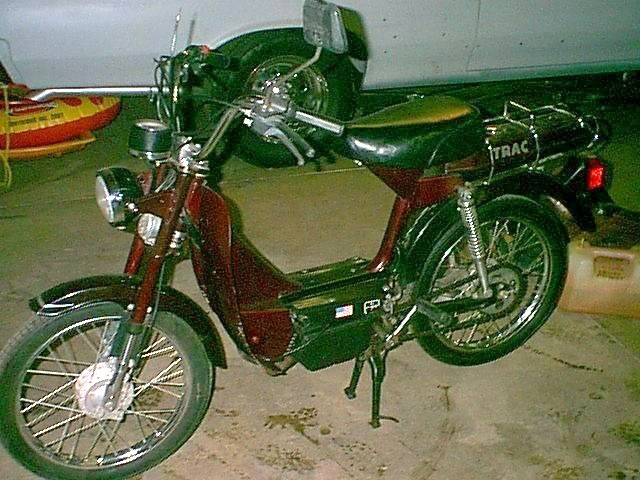 DP50 upgrades: In 1987 two things were improved. 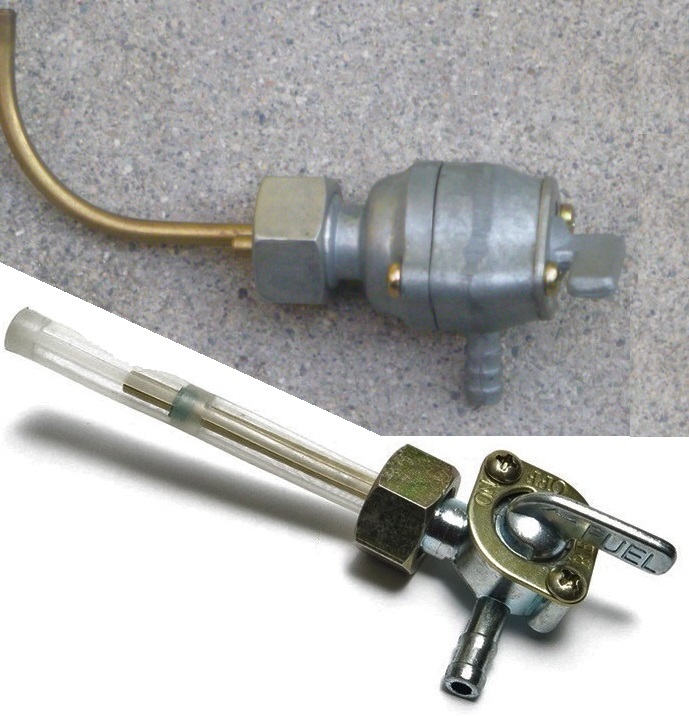 1) The change lever E13-9 was upgraded to a cable-less type. 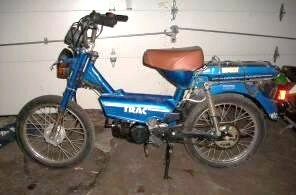 The start cable and start lever below the left handlebar were eliminated. 2) The gear set E7B-3 and E8B-13 was upgraded. Gear E7B-3 has a rounded square center hole. The four engage balls move inward (to disengage the motor for easy pedaling) and outward (to engage the motor) into the four corners of the square hole. These gears crack at one of the corners, when the engage process is not done gently. The upgraded gear set has 3? more teeth on the E7B-3 gear and 3 less on the mate gear E8B-13. More teeth made the E7B-3 gear thicker at the four corners where it was cracking at. Driveshaft gear E7B-3 changed from #13009 (24T) to #18750 (27T?). Idleshaft gear E8B-13 changed from #13019 (24T) to #18751 (21T?). 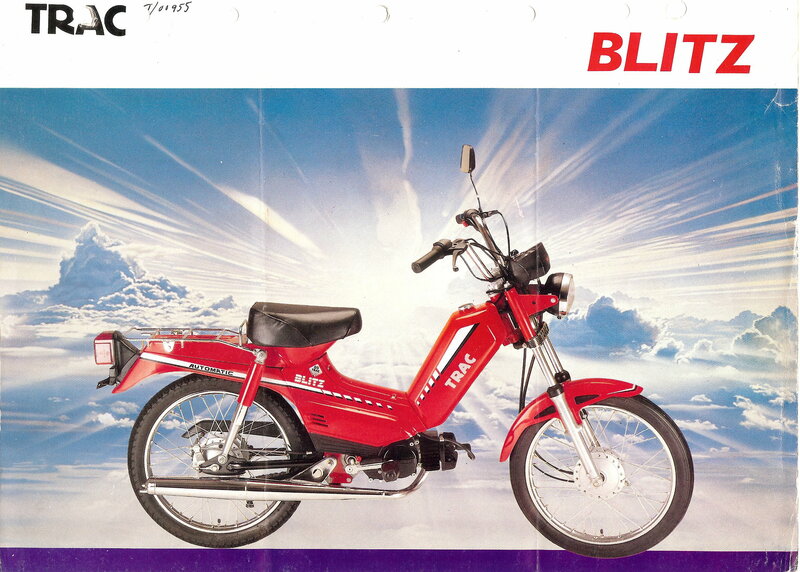 In 1988 the Blitz came out. 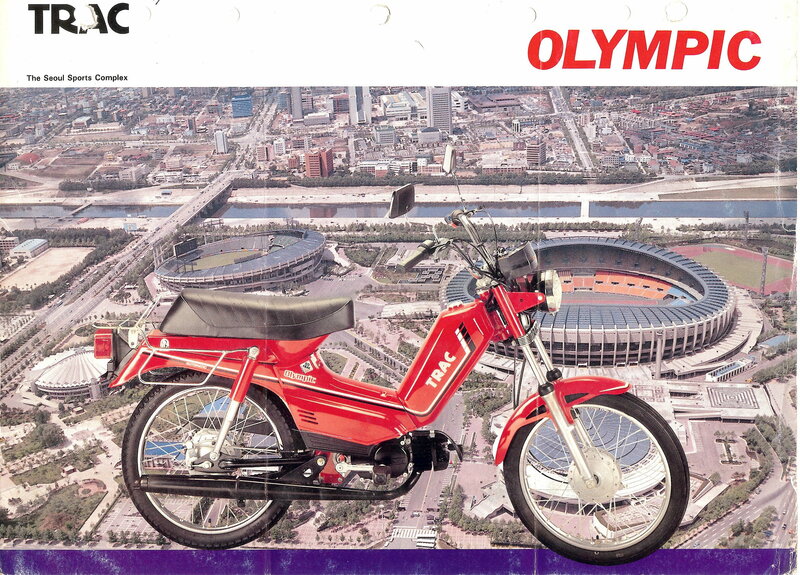 It was an Olympic with a solo seat and luggage rack. 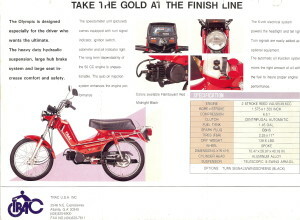 Part numbers are Honda format, where the model code is the middle 3 digits. Format is xxxxx-xxxxx for hardware, and xxxxx-M56-xxxx for other parts. 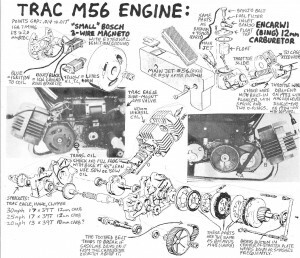 The M56 model code is printed on some of the actual parts, like cables. Same Daelim part number format. Eagle parts are model code M56. 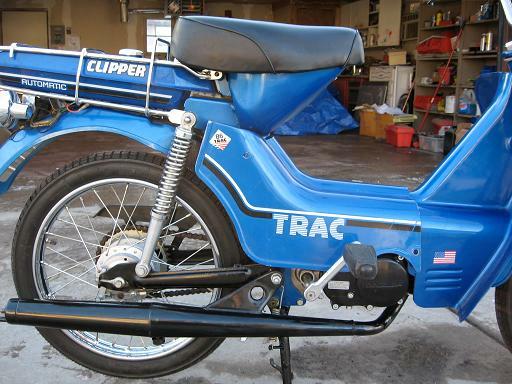 Parts specific to Hawk and Clipper are model code MT1 and MT2. 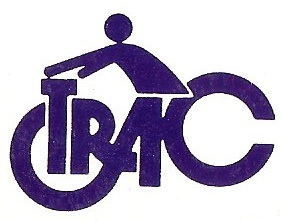 Alternate part numbers were in use. They were the yellow book diagram number, dash, and item number. 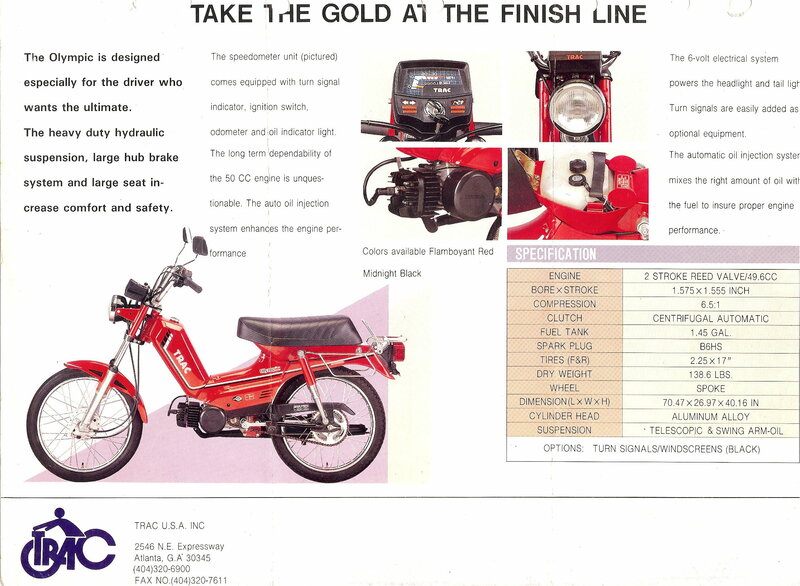 For example part number E2-11 is diagram E2 (Engine 2) item 11, or F12-33 is Frame 12 item 33. This was easy, but became confusing later when the diagrams changed. This stack of sheets replaced some of the yellow book pages. Both text and illustration pages contain corrections. 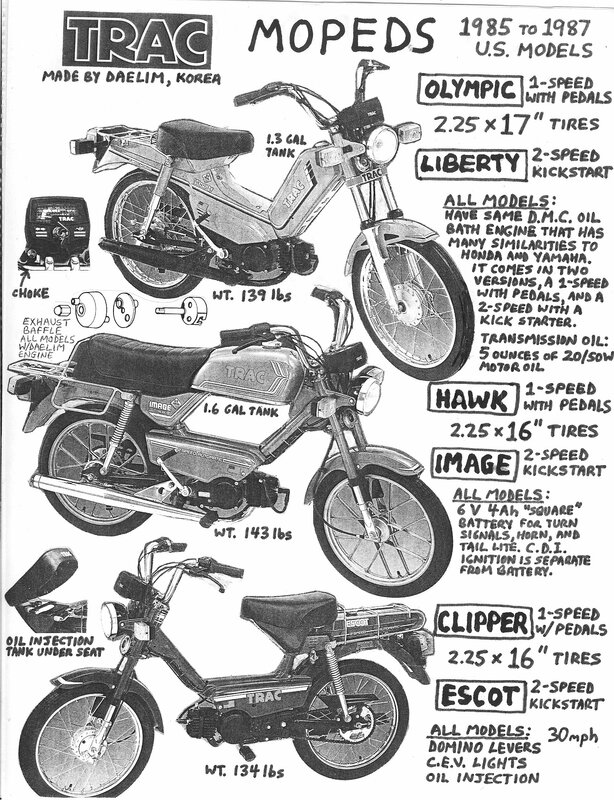 These sheets were in the back of the 1986 dealer Parts List blue notebook. 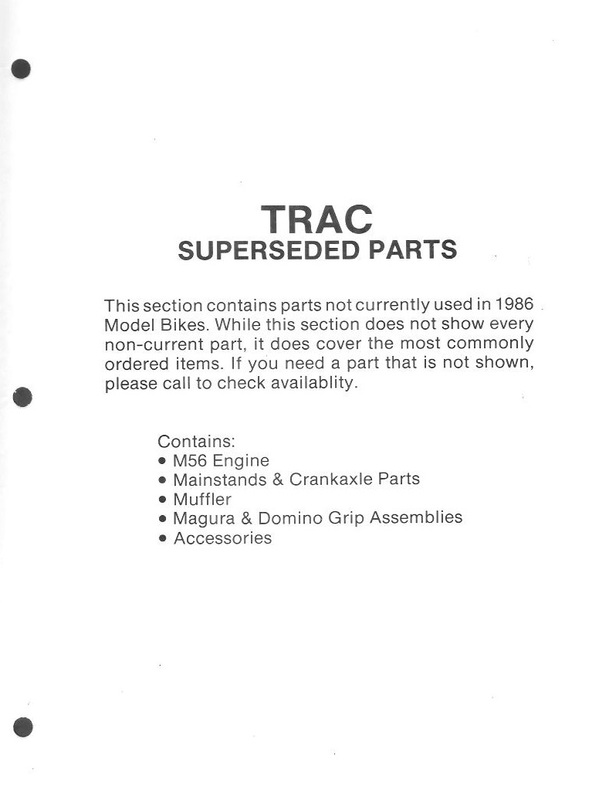 They had the yellow book illustrations with new Trac 5-digit part numbers. 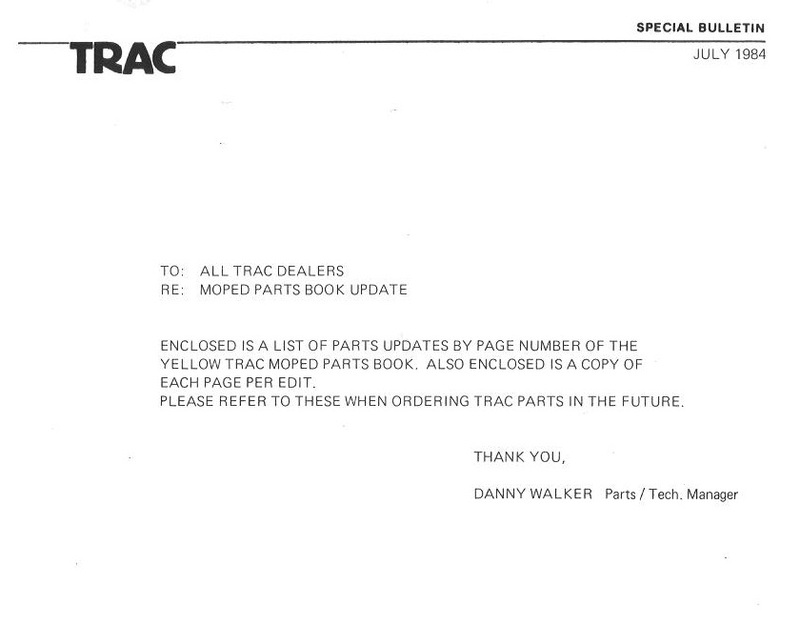 So there were 3 sets of part numbers in use, Daelim, diagram, and Trac. 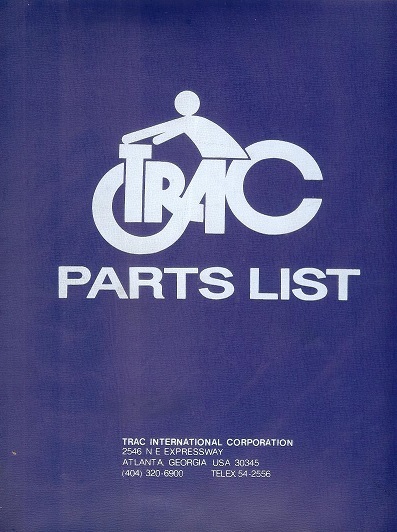 This was the main parts manual in the 1986 dealer Parts List blue notebook. 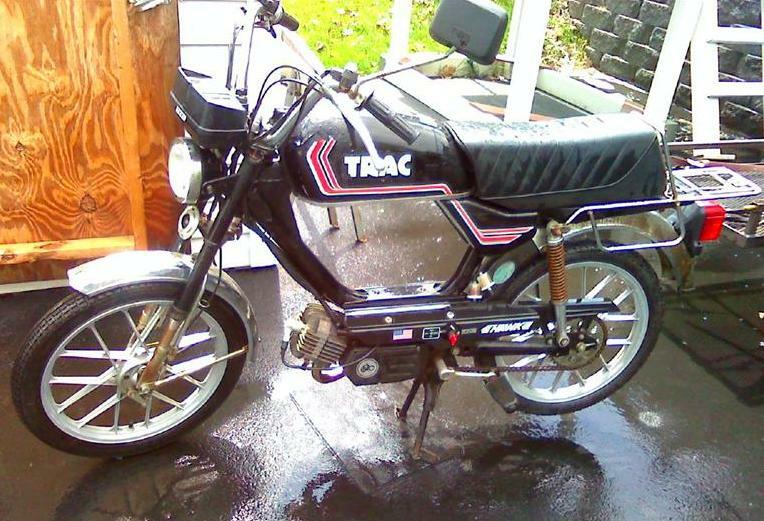 It has both Daelim and Trac part numbers. 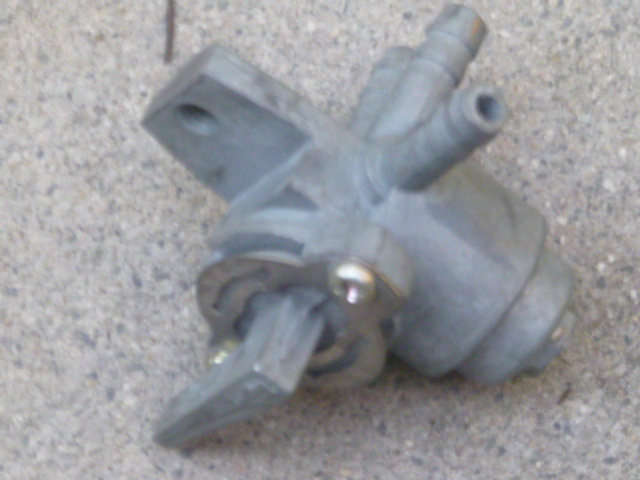 There are several model codes for Daelim engine parts 002, 005, DKM, HD2, HS1. 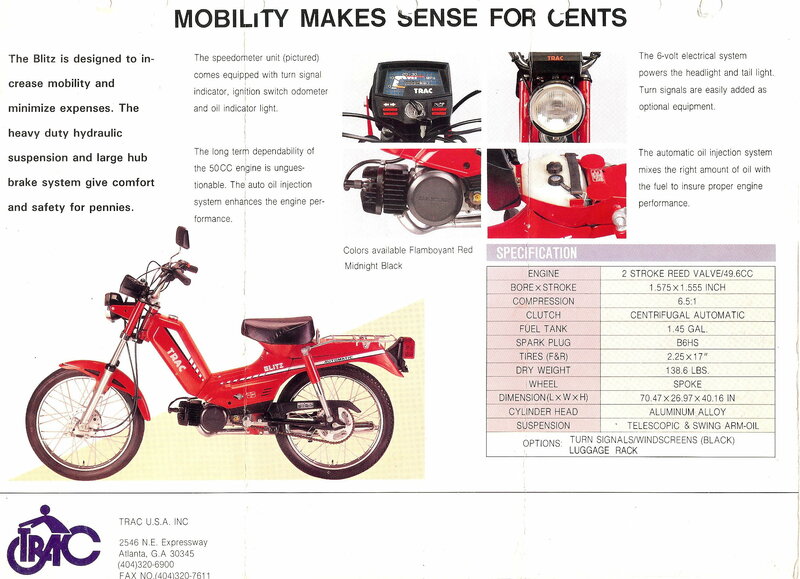 This was in the blue 1986 dealer Parts List blue notebook. 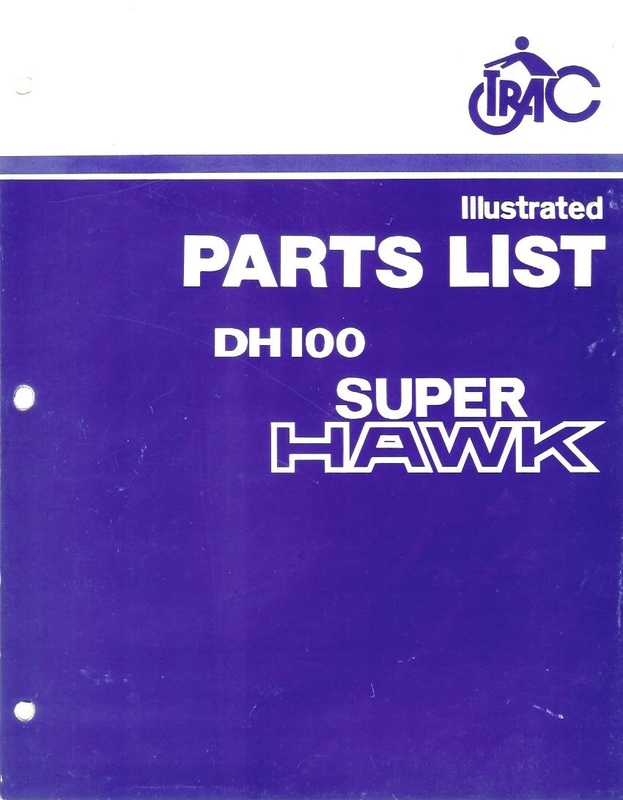 There are several model codes for DH100 engine parts 028, 105, others. 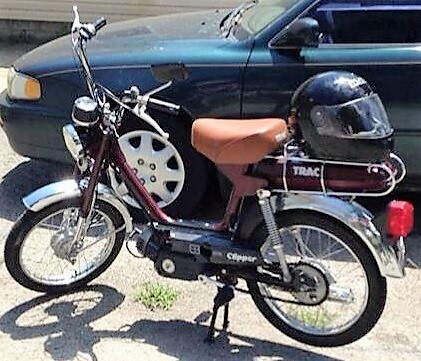 This motor interchanges with 70’s-80’s Honda 90. 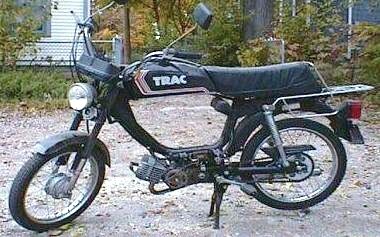 You are currently browsing the archives for the Trac Parts category.